Mino y los Ninos is a figurative sculpture located in front of the South Valley Library along Isleta Boulevard. Created by artist Reynaldo Rivera, it was installed in 1996 and sponsored by the Bernalillo County One Percent for the Arts Program. 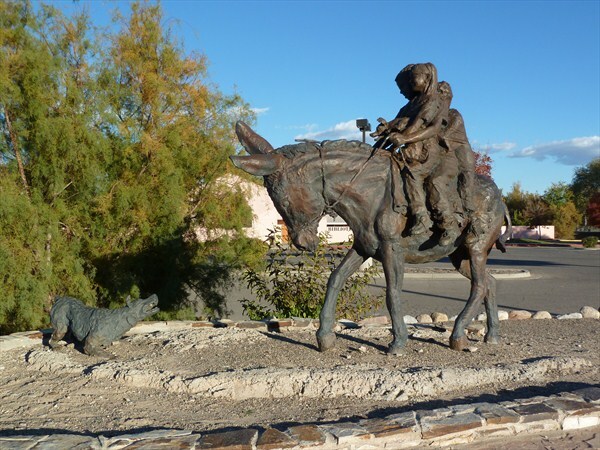 It depicts three children riding a burro, one of whom is holding a small dog barking at a larger dog on the ground.